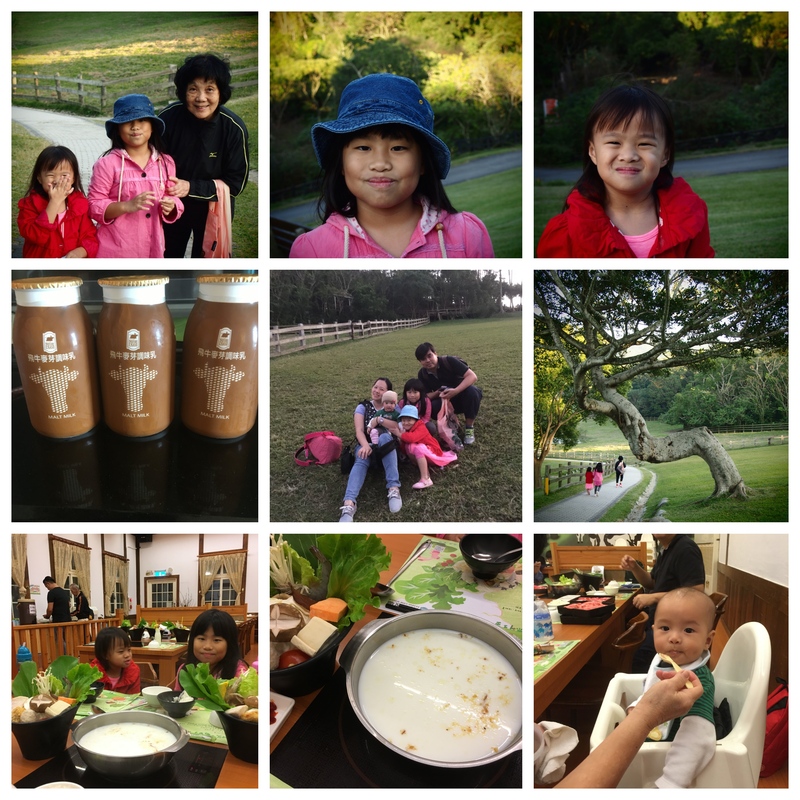 So we left Yilan to head south towards Tainan. 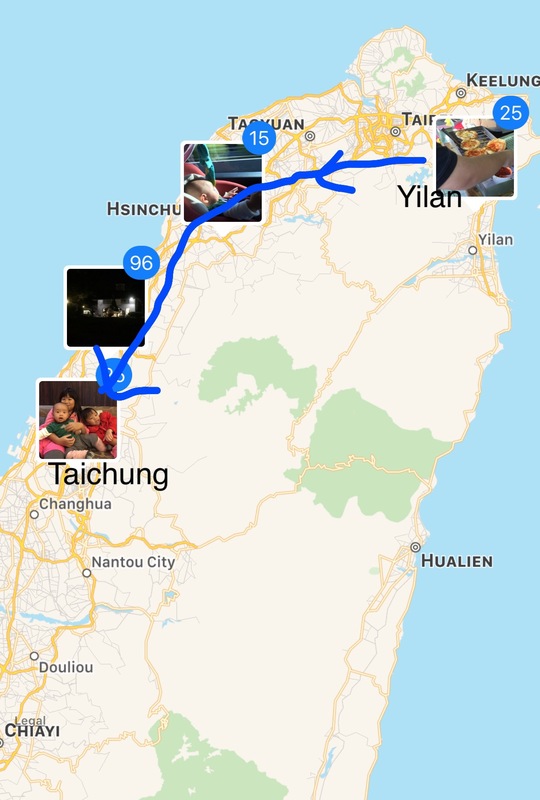 It’s a long way by car from Yilan to Tainan, so we did a stopover at Taichung to break up the trip. We took some last few pictures at the hotel and the kids said they want to bring the little brother back here again some time. Good excuse! 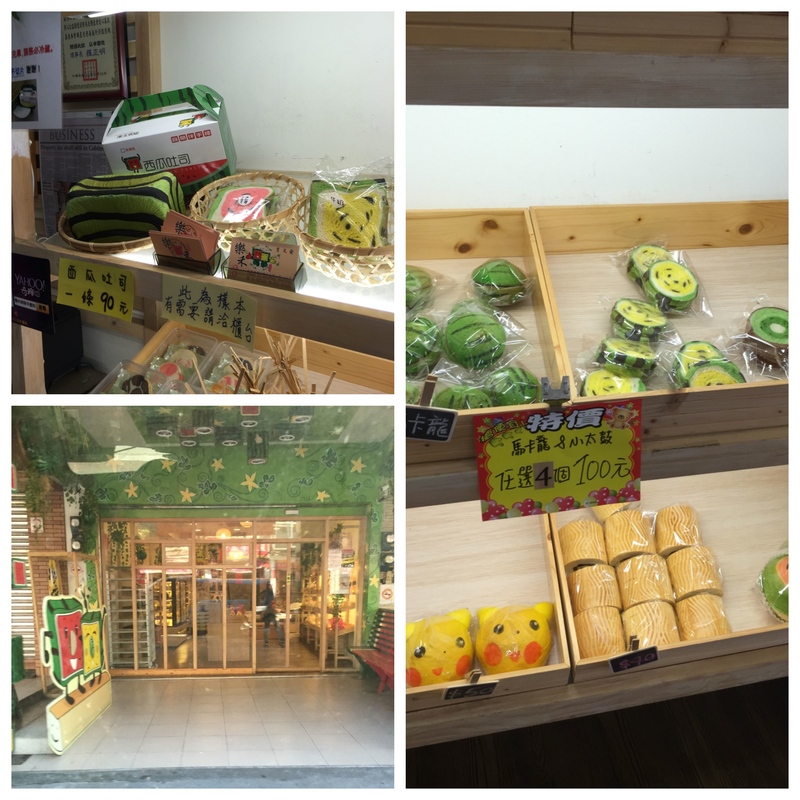 We heard from Mr Lai, that the locals had once crazed over this rectangular watermelon bread . The hype has since died down and there was no crowd when we were there. The famous rectangular watermelon was actually a whole loaf of bread. We wouldn’t be able to finish so we bought the individually packed watermelon toast instead. They have also caught up with the Pokémon hype and had this Pikachu bread which was so cute we got it for the kids. Verdict? Well, it’s fascinating for the first time, but that’s about it. The bread toast was rather dry and tasteless and probably contained lots of food colouring. Maybe the fresh loaf would have been better but that we didn’t manage to try. Next stop, we popped by this place for some really yummy Taiwanese spring onion pancake (葱油饼). There’s usually a long queue but we were slightly early so the queue was not that bad yet. It started to form while we were queuing halfway. First, you order the type of pancake, with egg or without egg ( like roti prats aka indian pancake), then you apply the sauce yourself depending on your preference. Then you eat it hot. Verdict? The nicest scallion pancake I have eaten! Its crispy while it’s hot, the spring onions were fresh and refreshing and the sauce completes the tastiness of it. I’m still drooling over it as I write. Thumbs up! 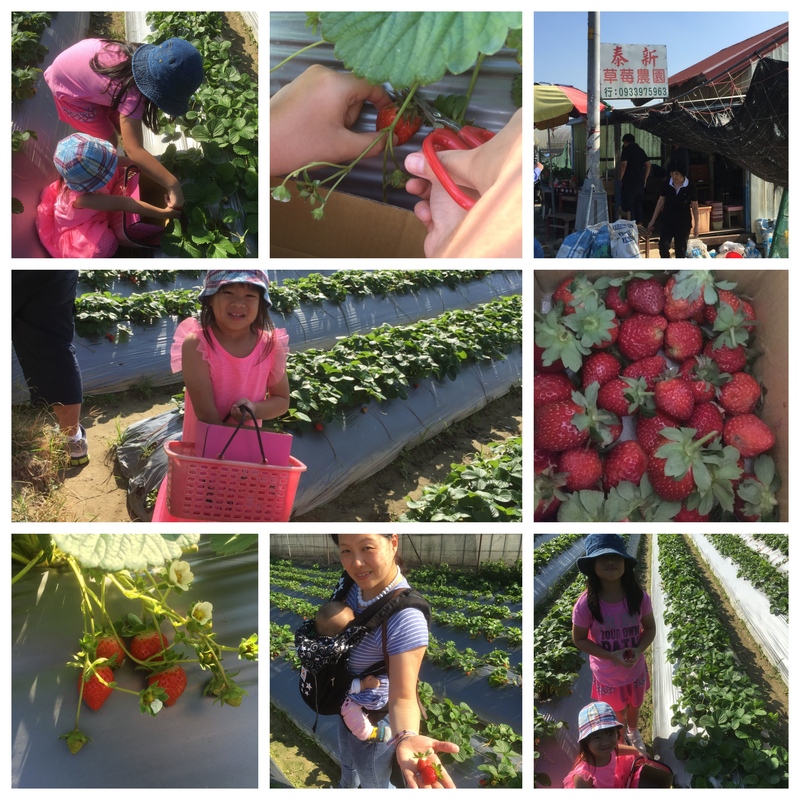 So after our breakfast and snack, the next stop was strawberry picking at this farm that Mr Lai brought us. This was not the first time we picked strawberries but we had not tried Taiwan strawberries yet, so here we go again. Most of the strawberries had been harvested at this time so there was not as many for us to pick. The berries were also not that huge. It was a sunny day and the kids were starting to complain. But the trip was worth it. The strawberries, although small, were all sweet! 1 whole box of strawberries! Yummy! The pricing is roughly 12SGD for 500grams of berries that you picked. Not exactly cheap, but all for the experience. We were mostly on the move this day, luckily Bub was still manageable. 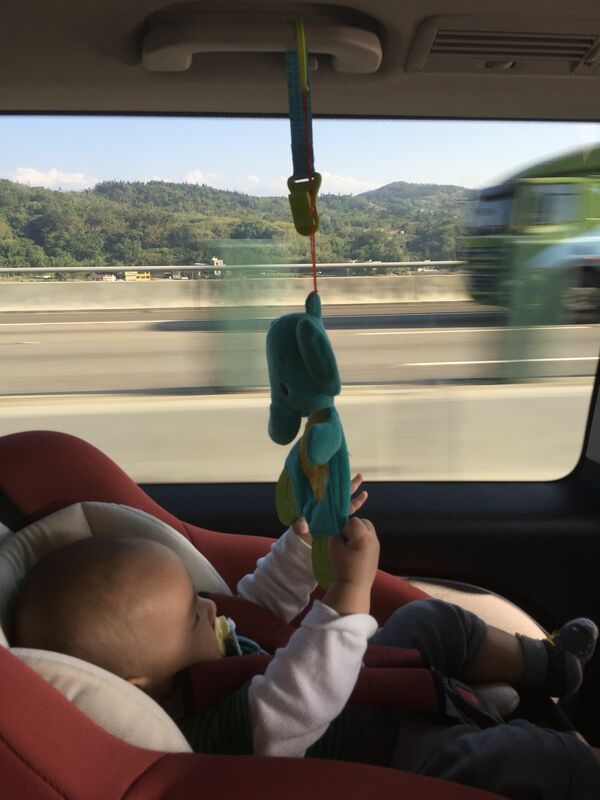 I DIYed this car mobile for him to self entertain while he was not napping. If the interval gets too long, we would carry him out of the car seat to stretch a bit, else he would just start to fuss. 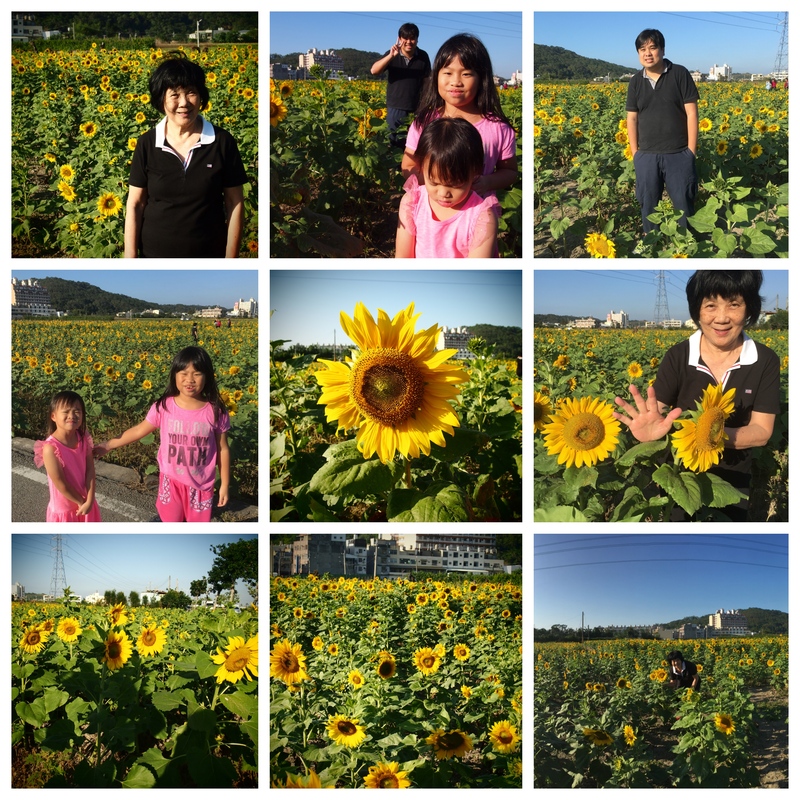 We chanced by this sunflower farm while enroute to our next destination. We had to come down to take some pictures. The kids were not too happy about it though. It was quite sunny and ‘not fun’ for them. 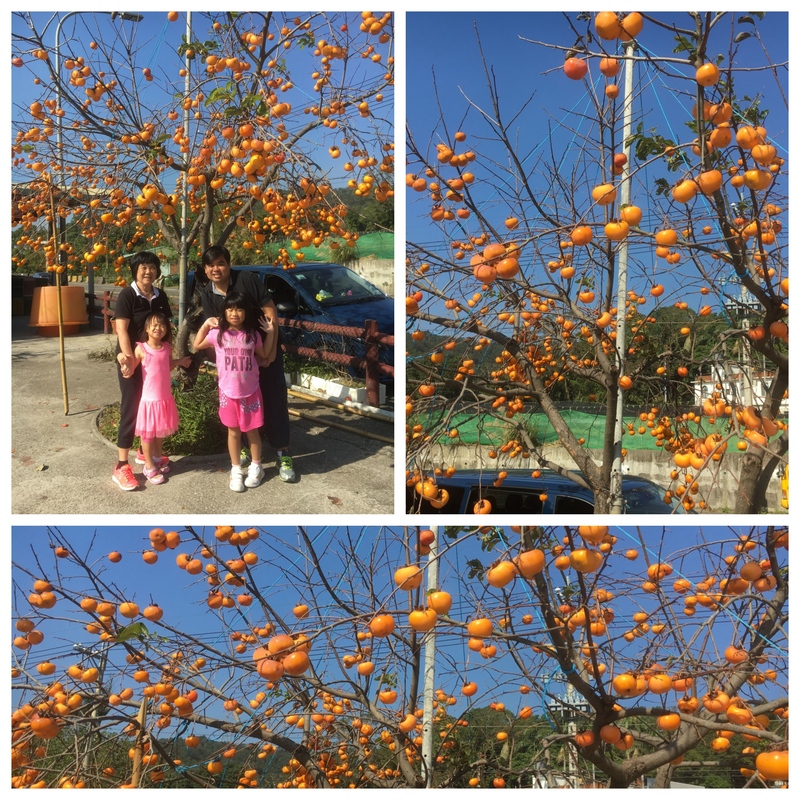 On the way to the next destination, we also passed by this persimmon dried fruit factory with this grand looking persimmon tree. If only we could pick the fruits! They were not for picking though. The tree was supposed to be here to attract some attention. All kinds of tomatoes. Currently growing 1 at home, hope it bears fruit! Next, we stopped at a tomato farm. The tomatoes were not ready for harvest so we only took a look. It was interesting to know that there were actually purple tomatoes! Too bad we didn’t get to try it. The farmers did give us some cherry tomatoes to sample though. They were super sweet! I had a tomato juice here as well. Hope to go back with glowing complexion! 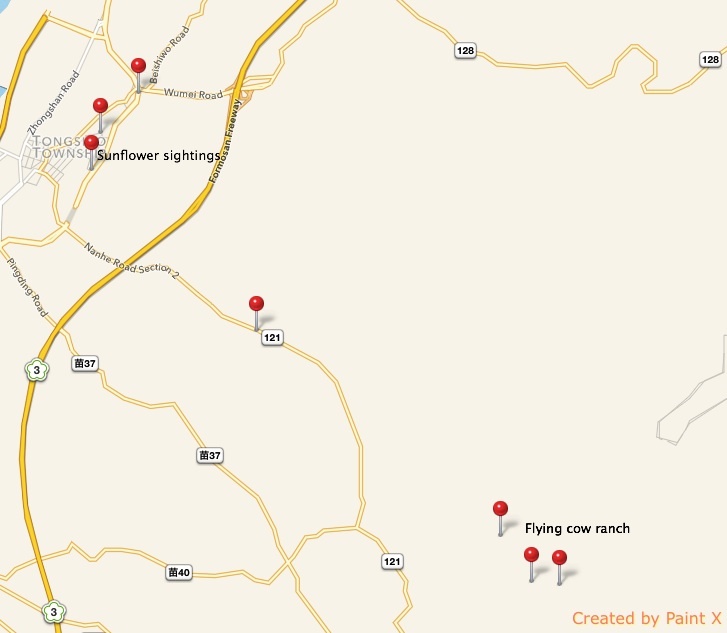 Our last destination before we hit the hotel was the Flying cow ranch. We didn’t come here on here on the previous trips but have always heard of people coming. So here we are to see for ourselves what’s over here. It was such coincidence when we found out the entire crowd that we met here on that day were ALL from Singapore! 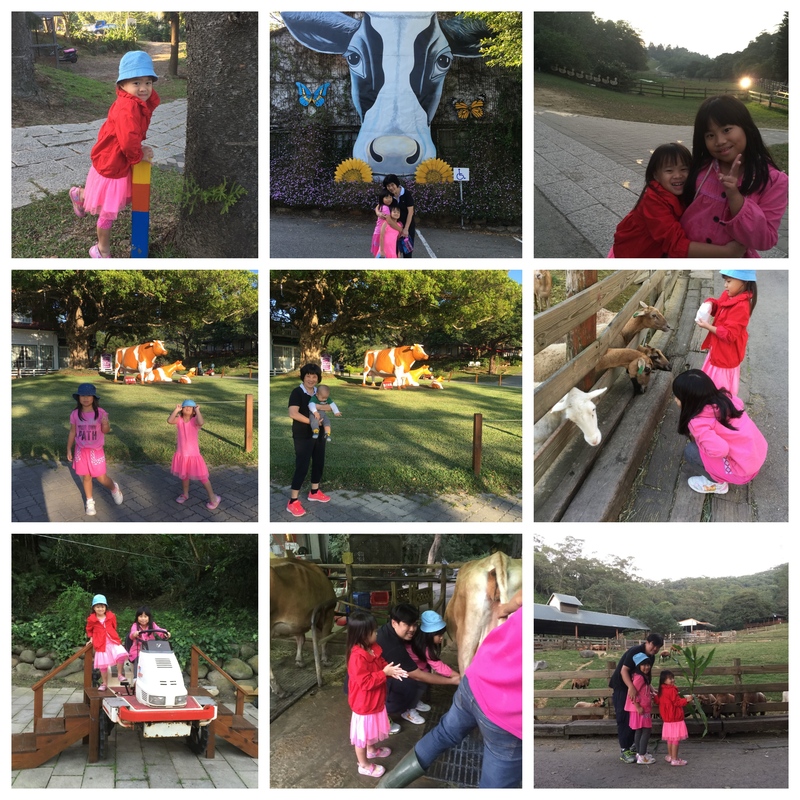 This farm is really popular with Singapore tourists! We requested Mr Lai to drive us to as near the main activity area as possible so we do not have trek the slopes. So we didn’t really have to walk much to reach the farm. The kids knew immediately what they have to do. Feed the animals! So we bought some animal feeds and the girls happily proceeded to feed the chickens and the goats while we sit back and rest and wait for the milking activity to start. We were then briefed on the process, they hygiene and the safety rules and there the girls went, shrieking in excitement and fear as they try to milk the cow. Milky hotpot time! The bottled caramel milk was good! Finally, comes our dinner of milky hotpot! And of course we had to have some milk while we are at the flying Cow ranch right? There’s Bub having his dinner of cereals and milk. The piping hot soup was much welcomed as the night starts to turn chilly. But frankly, we still preferred the clear soup. The milky soup was a bit too, erm, milky. Finally, we checked in to our hotel of the night for a good rest before the next leg of the trip. Nothing fanciful with this choice of hotel except that it was really near to Sogo. 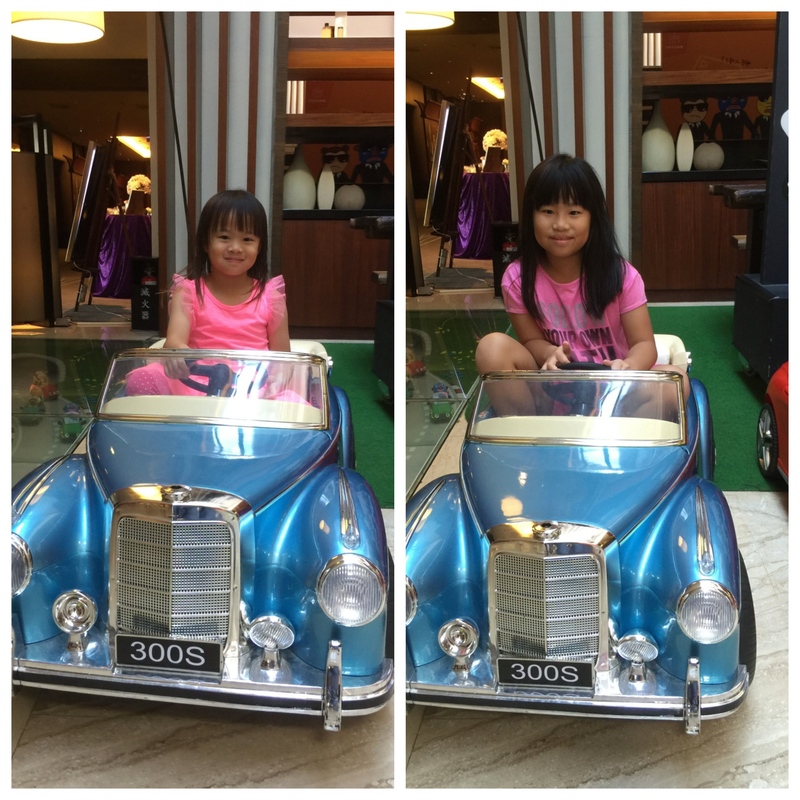 So we hopped over to do some quick shopping and the kids found an arcade and parked themselves there. The next last instalment of this series of write-ups on our Taiwan trip, is going to be so fun and exciting. Can’t wait to share. Having fun in their jammies. Stay tuned for the next post!